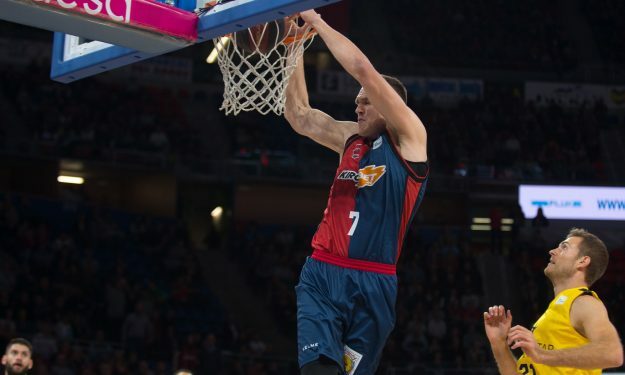 Sixth victory in a row for Baskonia in ACB. Baskonia had a powerful second half to defeat Iberostar Tenerife 85 – 68 at home and grab its sixth consecutive win in ACB and 17th overall in the championship. The match was balanced at the break (36 – 35). Afterward, Baskonia proceeded to control most aspects of the game on both ends and eventually register a comfortable win. Shavon Shields scored 17 points, Darrun Hilliard posted 15 points and five assists while Luca Vildoza had 14 points and four assists for Baskonia. Johannes Voigtmann contributed a diverse output of 16 points, six rebounds and five assists. For Tenerife, that dropped to 12 – 11, Tom Abromaitis scored 20 points and grabbed four rebounds. Janari Joesaar finished with 16 points and six boards.